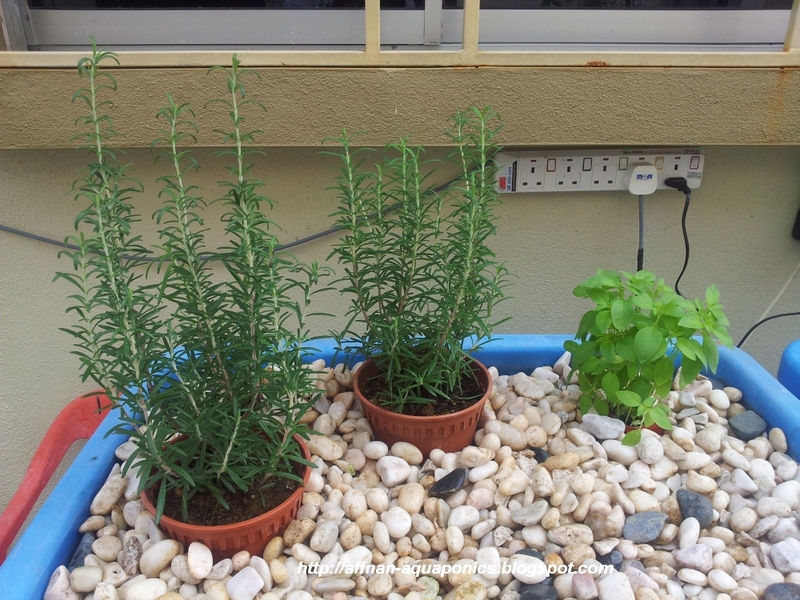 Two more pot of Rosemary for the growbed. Its much bigger than previous, I let it stand touching water level in growbed. Soil in the pot will help to provide bacteria in my set and since its still very new, this will help plant slowly adapt to new environment. Never tried Rosemary before, once this growbed mature I'll transplant it out from the safety of the pot.